A few dozen Ethicon hernia mesh lawsuits have been selected for the initial discovery pool. From this pool, a handful of bellwether cases will be selected for early trial dates. These bellwether trials are intended to allow all involved parties to assess how juries tend to respond to certain testimony and physical evidence. If these initial trials result in substantial jury awards for the plaintiffs, then it’s possible that the defendants will feel pressured to settle the remaining lawsuits before they go to trial. 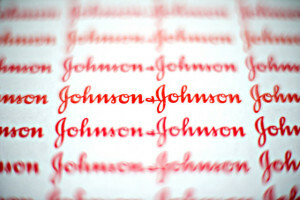 The three dozen-plus lawsuits selected for the initial discovery pool are part of an MDL with more than 1,450 product liability claims pending against the defendants, Johnson & Johnson and its Ethicon subsidiary. Although these Ethicon mesh lawsuits were filed in federal courts around the country, they were consolidated into the MDL for the purpose of streamlining the litigation process. In an MDL, the attached lawsuits share pre-trial discovery proceedings to avoid duplicative discovery and contradictory rulings. This particular MDL is pending in the U.S. District Court for the Northern District of Georgia before the Honorable Judge Richard Story. The Ethicon hernia mesh plaintiffs make similar allegations in their lawsuits. They claim that the medical implant is defective in design, and that the patients suffered severe complications as a result. These complications include surgical mesh erosion and failure, infections, adhesions, perforations, abdominal pain, and the recurrence of hernias, as well as the need for revision surgery. The last status conference for MDL 2782 was held on October 9, 2018. During that time, Judge Story requested that the parties file an updated list of cases selected under Case Management Order seven. The newly filed list identifies the 37 cases that will be part of the initial discovery pool. During the next few months, these cases will be subjected to case-specific discovery. Evidence and information will be exchanged among the parties, and witnesses will be deposed. It’s expected that the first bellwether case will be ready to go to trial late in 2019 or perhaps early in 2020. Judge Story’s earlier issuance of the Practice and Procedure Order identified May 1, 2019 as the deadline for the plaintiffs’ expert disclosures and reports. The defendants are required to serve their expert disclosures and reports no later than June 3, 2019. Following that, any rebuttal and expert supplementary reports are required to be submitted by June 14, 2019. It’s expected that all expert discovery will be finished no later than August 15 of that year. It isn’t yet known which case will be the first one to go to trial. The trial scheduling won’t be finalized until July 29, 2019 at the latest. About one month after that deadline, any Daubert motions must be filed. Daubert motions pertain to the admissibility of expert witness testimony. When the first trial does begin, all parties and prospective plaintiffs around the country will be watching it closely. Although the outcomes of the bellwether trials aren’t binding on any other cases, they do help gauge jury reactions. If any cases aren’t settled by the time the bellwether trials are resolved, the remaining cases will be remanded back to their home districts for individual trials.